An old car and an old saying perfectly transcribed into a man’s vision about his spare time. 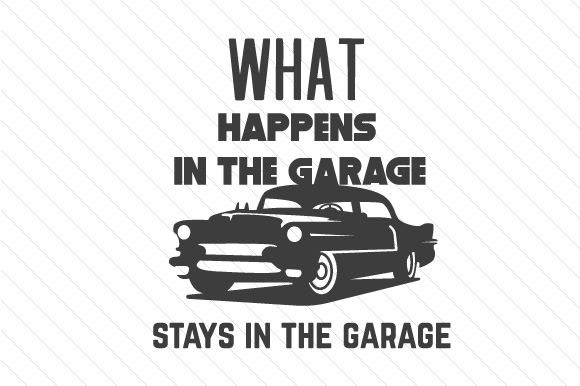 If you agree that what happens in the garage stays in the garage, you’re either a man crazy about fixing cars or a woman crazy that his man tends to bring his car work into the house. Either way, the quote says it all. You can use it to mark a man’s territory or to shed some light into the frowned faces that just can’t seem to get to the bottom of the engine’s problem. From garage door decals to garage-related shirts and much more in between, you can have so much fun by adorning all kinds of crafts with this printable typography sign.